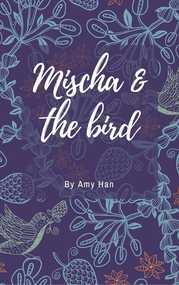 A short story written in the planning process of a much longer one, Mischa & the Bird is about friendship, independence, and freedom. Ru Jenkins has lived two lives for as long as she can remember. In one life, there’s high school, a new friend no one else likes, and the most popular guy in Year 7. In her other life, there’s Arkie. Ru believes it’s the simple things in life that are the best. But things get complicated when her choices at school start to push Arkie further away. In this charming story about friendship, love and recognising what matters most, Amy Han reminds readers that 'being cool' is mostly about being yourself. There was a fieriness in his eyes that made me want to back down. But so far, this had been a night of not being afraid. Of taking chances. So I was just going to come out and say it. Even if it meant he stormed off on me now and never wanted to speak to me again. Sometimes it’s the things you aren’t looking for that are the ones that will stay with you for the rest of your life. It was a pretty crazy thing, what she was doing. Crazy - or just stupid? Was there a difference? 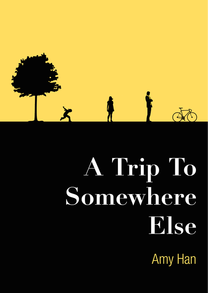 In this tiny collection of linked stories, Amy Han raises the big questions about life, love, and the true meaning of 'following your heart’.